"This family comes with many many hardships, but there is at least one benefit. You will always have a home here." That is how you do that. This episode could've been fluffy and slow and boring. It could've just been just the bridge from Jackson's and Cami's deaths and Tristan's take-down to whatever will fill the rest of the season. But because it's The Originals, it wasn't. We still don't know what Cami is capable of and it's so interesting watching the bravado she gets from her prior relationship with Klaus play out. She has a sort of (possibly false?) sense of security because she knows he cares for her. Most people in her position wouldn't snipe back at a person after listening to centuries worth of malicious deeds they've committed, but she has had his protection and love and even shared his bed. Plus she studied psychology for so long that she's able to very easily manipulate people, including Klaus, using her emotions. Why did she take the horse? On the one hand, she could genuinely want all of the dark objects back. She cited wanting to continue her uncle's work as the deciding factor to transitioning into a vampire and getting back his stuff might be step one. On the other hand, the prophecy did say that a friend would kill one of the originals and Cami is the only friend that is currently unhinged and holding a weapon that can take them out. Cami is off her rocker and Hayley can't stay in the apartment she shared with Jackson. The timing was perfect for a girl power pow wow, except Cami was having none of that. Props to Hayley for a, standing up for Cami to Klaus and b, not knocking Cami into next week for trying to exploit her grief and guilt. I hope we haven't seen the last of this dynamic duo in scenes together, because they are maybe the only people that won't underestimate each other. While I'm talking about Hayley, Phoebe Tonkin is playing her grief so beautifully that I have to give her some love. 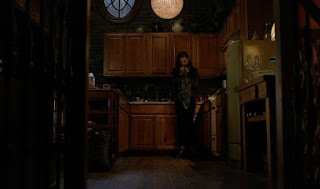 From not wanting to stay in the home they shared or touch his trademark flannel to the eloquent breakdown in the kitchen I feel for her every step of the way. Daniel Gillies didn't slack in these scenes either. Have we ever seen Elijah tongue-tied before? Not that I can remember and he played it so beautifully. He seemed to surprise even himself that he couldn't find the right words to console her. Even though it was clear that he desperately wanted to. So, instead, he sat. Indian-style on the floor with her, in his impeccable tailored designer suit, and listened. Ugh. I must be a teenage insta-celeb because I can't even. Aya doesn't mess around. She's wasted no time... already taking off heads, riding around in limos like Beyonce and making deals with Mikaelsons. The Strix have their own personal coven. How likely is it that the girls stay there indefinitely of their own free will? I have to go with doubtful especially after Ariene looked so relieved that Elijah had come to kill her. And why did he? Was killing her part of the red door mania? What could she have seen that was so terrible? I'm sad she only made it one episode, I kind of liked her. After her sales pitch to Davina and Josh's pep talk, it's just a matter of time before Davina is running around that pool in a black robe too. So many familiar faces. Josh is back! I didn't realize how much I missed him until he was threatening that witch selling magics with a bad yelp review. Davina, the girl that can't catch a break, is back and with any luck saving her from herself will keep Josh around for the rest of the season. We got to see Kol, with his original face, and he's still his most adorable when with Davina. I'm still not sure I'm on board with him coming back. Death should be permanent and all that, but I do love that he finally wasn't forgotten. Rebekah was trying to save him right up until Aya found her and Davina is two seconds away from signing her life away to bring him back. He finally got his wish. He is loved. Detective Kinney was back playing the part of puppet. So sad for Jason Dohring, give him something better to do! Murdered witch lady made a cameo in ghost world. Is that who is giving Kol black eyes? I'm with Klaus. It would drive me insane if I had to rely on what these witches call visions for intel. He did figure it out in the end, though. I guess with a few hundred years of practice I'd be good at it too. And how much do you love that it's the beloved carved horse that Klaus gave Rebekah as a child and that Hope has been playing with since she was born? Continuity makes me happy. Why did Marcel get the loyal knight card? Are his loyalties shifting to the Strix or did the witch pick up on his loyalty to others and misread it? How will he feel when he finds out Davina is going to be tied to them probably indefinitely? 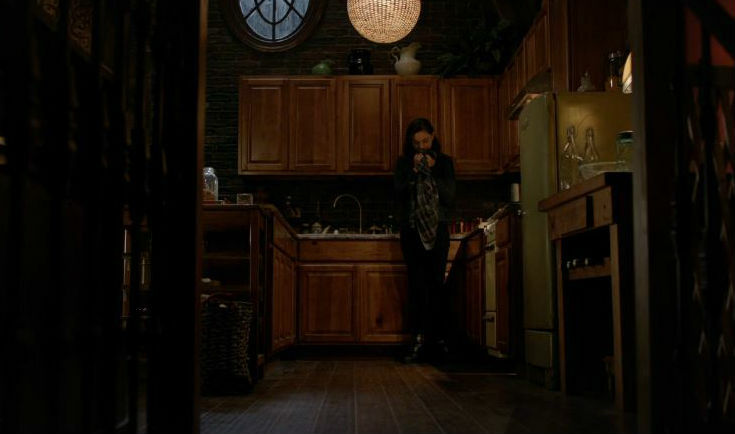 Hayley asking to stay at Chez Mikaelson was so lovely. Sad, too. But it's lovely that she has somewhere that can be 'home' when her where she is living couldn't be that anymore. We are back to only getting almost kisses between Klaus and Cami. I think we are all supposed to believe that a wooden horse would survive centuries. It wouldn't, but okay, I can play along. No Lucien. No Aurora. No Freya. If the other side was destroyed, what was the ghost world place that Davina traveled to? Klaus: "Hayley, this family comes with many many hardships, but there is at least one benefit. You will always have a home here." Josh: "Davina, I've called like 100 times. It's enough to make a guy feel shunned or something.... Sorry, too soon?" Klaus: "If you're going to learn, you may as well learn from the best." Josh: "For the record, if you looked up uncool in the dictionary there would just be a tiny little picture of what's happening right now." Ariane: "All that your family has endured and the worst is yet to come. A lone horse. A pale figure. A flame that will burn you all." Cami: "How many hundreds of people have you killed?" Klaus: "Actually, I measure the number in the hundreds of thousands leaving me no hope for absolution. It's not a fate I wish for you." Hayley: "Elijah, I've spent the last 24 hours being so angry. At Tristan, at your family, at you. At Jackson, even, for always being so brave. But then I realize I'm not angry. I'm not mad. I'm just guilty. I wanted to blame you... blame anyone. The truth is that my husband died because he loved me. And loving any of us is a death sentence, isn't it?" The New Orleans witch ancestors seem to be comlpetely independent of the other side as created to trap Silas. I guess it's another pccket dimension for ghost created cpecifically for the NOLA witches.